The tripTrack Tax Logbook system is an easy-to-use, inexpensive and convenient method for keeping track of your vehicle's mileage. A travel logbook is mandatory to claim any vehicle allowance tax deductions (as of March 2010). Using traditional logbooks is time-consuming and subject to human error. The tripTrack device is very accurate, takes a minimal amount of your time and delivers the information you need straight away. You can also use tripTrack to track and prove billable hours. In other words, as a reminder system of where your car/s have been and how much you need to bill your clients (mileage tracking). In addition, you can use it to keep track of your business vehicles and detect any unlawful usage by your employees. How do the tripTrack system works. 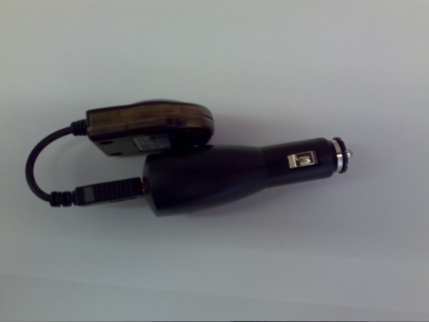 The system consists of a small GPS logging device that plugs into the vehicle’s cigarette lighter that records all the travel data. You will load software onto your computer from a CD provided. The software will process the data into a report and you will be able to customize your report by specifying your personalized location details – once off – which will re-appear every time you download your trips. Click here to view the data that can be generated when downloading the trip data from the tripTrack system. For orders or demonstrations on this product complete our contact us form.